The Tea Box: The Quiet Book & The Loud Book! First of all I must say that I've been following Renata Liwska's work for quite some time now: since when, just for a fortunate chance, I bumped into her blog and fell in love with her illustrations. Her way of portraying animals has a certain nostalgic and retrò style, a soothed sweetness that recalls to mind the scent of long gone moments. Memories of precious instants, connected more to senses than to precise reminiscences, come to mind: like when you walk along a road and, suddenly, your nostrils open wide up, fatally attracted by that one smell, the one you hadn't been smelling for ages but that, in one second, brings back to your mind all you thought you had forgotten! Seven Impossible Things Before Breakfast - http://blaine.org/sevenimpossiblethings/?p=1924 where you can as well take a look at some spreads from the book, a NOT TO BE MISSED one: as usual Jules is incomparable! 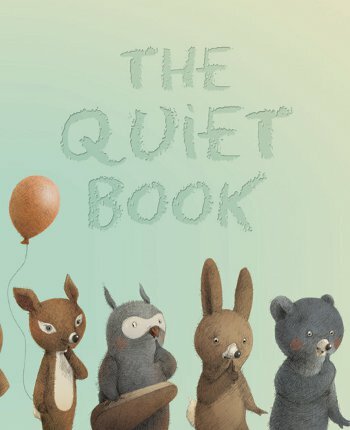 Bookie Woogie - http://bookiewoogie.blogspot.com/2010/05/review-67-quiet-book.html real fun!